Mold growth normally occurs in every home to some degree. In most households, mold is under control and is generally harmless. In certain cases, however, when excessive moisture is an issue, mold can grow rampantly and can pose a serious health risk, especially to those who have respiratory issues such as asthma or chronic obstructive pulmonary disease (COPD). Even though it’s impossible to remove mold entirely from your home, you can keep it at a manageable level. If you ever suspect a mold infestation in your home, immediately contact a mold remediation expert who specializes in mold testing, mold and water removal, and water damage restoration in the Hamptons. Here are some things you need to know about mold. 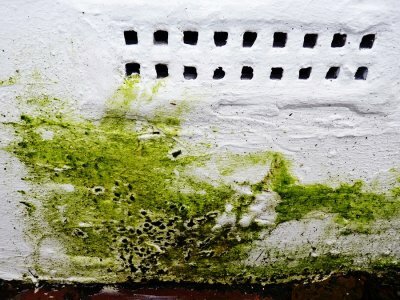 There are three types of mold that are commonly found in homes. The first, and most common, type of mold is Aspergillus , which tends to be relatively harmless to human health. Only those who are particularly sensitive to mold spores may develop allergic reactions. The second type of household mold is Cladosporium , which is another relatively harmless mold that may trigger asthma attacks or allergic reactions in people who are sensitive. The third type of mold is the least common of the three in homes, but it’s also the most dreaded: Stachybotras chartarum , or toxic black mold. This mold can pose a serious threat to your health, especially if you’ve been exposed to it over a steady period of time. If you think you may have black mold in your home, have your home tested as soon as possible. Household mold can be found growing on both organic and inorganic surfaces. Organic, nutrient-rich surfaces include: soil, fruits and vegetables, wood, and decaying meat. Inorganic, nutrient-poor surfaces include: plastic, glass, concrete, wallpaper, carpet, drywall, and insulation. 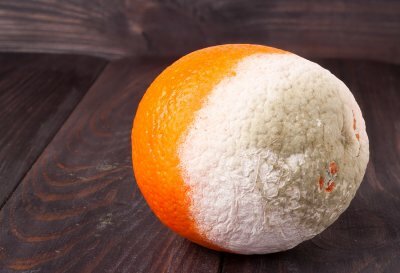 There are many symptoms attributed to mold exposure that include, but are not restricted to: allergic reactions, rashes and hives, sinus infections, migraines, inflammation, joint pain, depression, dizziness, fatigue, and pneumonia. If you recognize any of these symptoms primarily when inside your home, schedule a mold inspection with a mold remediation company near you.